The road bridge a couple of kilometres east of Westerland provides an excellent vantage point from which to photograph trains departing for the mainland. 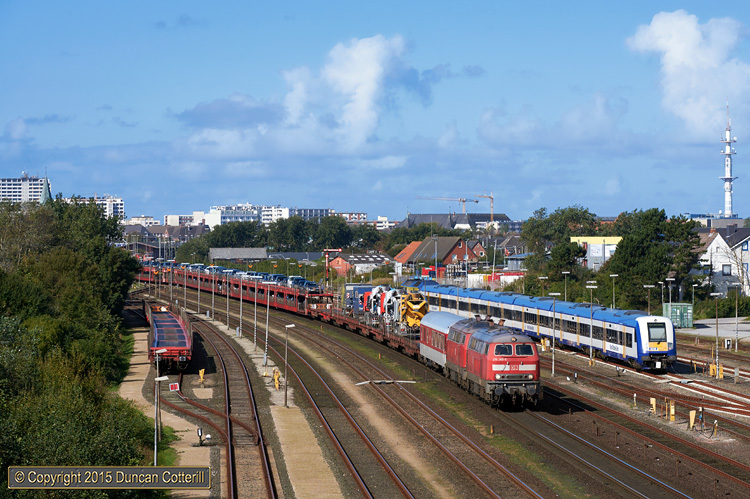 218.389 and 218.376 set off with the 12:10 SyltShuttle to Niebüll, train AS-K1429, on 26 September 2015. NOB's 251.003 was stabled in the yard with a push-pull set, awaiting the call of duty.